Welcome to the Pals June, 2018 Blog Hop. This month we’re going to Pick a “B.” Projects for Babies, Birthdays or Brides, that is. 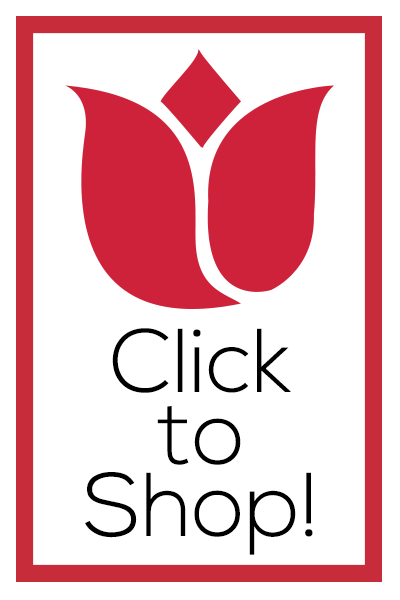 Be on the look out for creations using new products from Stampin’ Up! My “B” card idea for today’s hop is “bridal” (although I think “birthday” would work just as well). The simple design is anchored by the gorgeous paper from Petal Promenade Designer Series Paper, new in the Stampin’ Up! 2018-2019 Annual Catalog. Petal Promenade Designer Series Paper – Images © Stampin’ Up! Fresh picked inspiration! 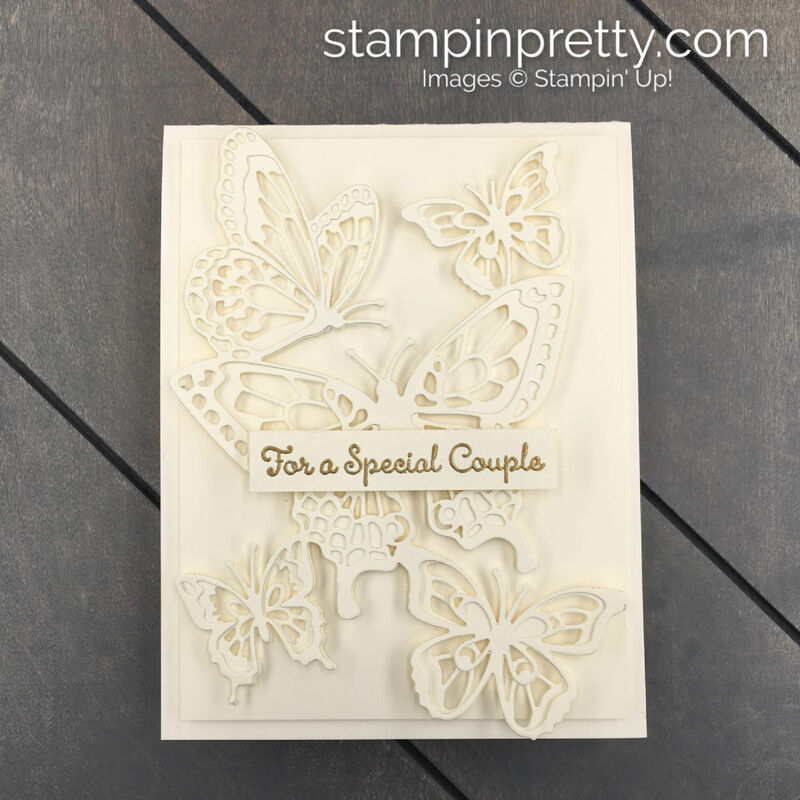 Watch this Stampin’ Up! video sharing the design process for the Petal Promenade Designer Series Paper! Create a 4 1/4 x 5 1/2 card base using Petal Pink card stock and a Stampin’ Trimmer. It cuts and scores. Adhere a 4 x 5 1/4 piece of Very Vanilla card stock with Snail Adhesive to the card base. Center and adhere (Snail) a 3 x 4 pattern from Petal Promenade Designer Series Paper. Cut Old Olive card stock to 3 1/2 x 4 1/2. Create a frame by cropping the center with the rectangle die from Sliding Door Framelits Dies, the Big Shot Die Cutting Machine and the Magnetic Platform. Emboss frame with the Subtle Dynamic Textured Impressions Embossing folder in BOTH the portrait and landscape directions (back and forth in each direction). This gives a beautiful, linen finish! Adhere a 4″ piece of 5/8″ Burlap Ribbon to the back of the frame. Here’s a WOW! video with tips on using the Subtle Dynamic Textured Impressions Embossing Folder. Crop “dream” sentiment using Thick Very Vanilla card stock, the “dream” die from Chase Your Dreams Framelits Dies, Precision Base Plate (perfect for detailed dies) and the Big Shot Die-Cutting Machine. Adhere to sides of frame over the burlap ribbon. Add a Calypso Coral Brad (Basic Brads) to the bottom right corner. Center and adhere embossed frame over floral pattern with Stampin’ Dimensionals. Using the envelope liner die from Beautiful Layers Thinlits Dies and the Big Shot, crop more of the same pattern (5 1/4 x 4) from Petal Promenade Designer Series Paper. Adhere with Snail to the inside flap of a Very Vanilla Medium Die. Enjoy my FREE PDF Step-By-Step Tutorial (and supply list) for the Petal Promenade Bridal card here. Beautiful Layers Framelits Dies – Images © Stampin’ Up! Mark your calendars for July 11, 2018 for our annual Pattern Party featuring projects using favorite Stampin’ Up! Designer Series Papers and coordinating embellishments.. Don’t miss it! Mary Fish at Stampin’ Pretty. YOU ARE HERE! I’m feeling the “love” of the Tranquil Tulips Photopolymer Stamp Set. Earn this stamp set FREE when you spend $150 or more using Stampin’ Up! Stampin’ Rewards! I created today’s card for a wedding this weekend and love the classic and elegant look of Basic Black and Crumb Cake. Of course, the tulips make my heart go pitter pat as well! COMING UP TOMORROW: I’ll share a new 1 Minute to WOW! Video Tutorial showing you some colorful possibilities with the Tranquil Tulips Photopolymer Stamps Set. Tranquil Tulips Photopolymer Stamp Set is a two-step stamp set with a built-in “weathered” look. 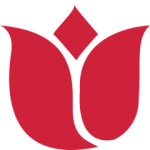 I layered two images to create each tulip. So easy to do with photopolymer (clear) stamps. Tranquil Tulips Photopolymer Stamp Set – Images © Stampin’ Up! “Love” is from Lovely Friends Photopolymer Stamp Set. I created a Basic Black scalloped frame using the Layering Squares Framelits Dies. A touch of Linen Thread ties the look together. Hover and Pin it! The photo below shows key products for today’s Tranquil Tulips wedding card that you can save or pin to Pinterest. If you are viewing this post by email, you’ll need to click the title of the post to access my blog and pin. See ALL my labeled product photos in one spot on my How to Make Simple Cards board on Pinterest. YESTERDAY’S launch of the Stampin’ Up! 2017-2018 Annual Catalog was HUGE! Be sure you check out the details (including the on-line version of the catalog and oodles of FREE resources) here. JUNE HOST CODE! If you place an order through me in June of $75 or more (before shipping and tax) and use the host code above, you’ll earn the gorgeous Berry Burst 1/2″ Finely Woven Ribbon (144133) FREE. Orders of $150 or more will automatically qualify for the FREE ribbon and should NOT include the host code on their order. More details here.